The 'Clone' button can be used to create a copy of an existing alert. 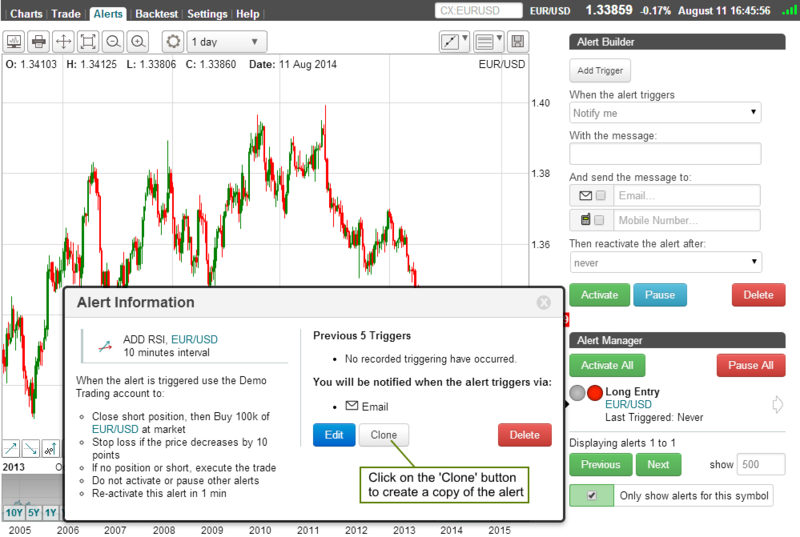 The cloned alert triggers and symbol / currency pair can then be changed, for example to apply the alert to a new currency pair. When the cloned alert has been edited, activate it as per the normal alert creation process.